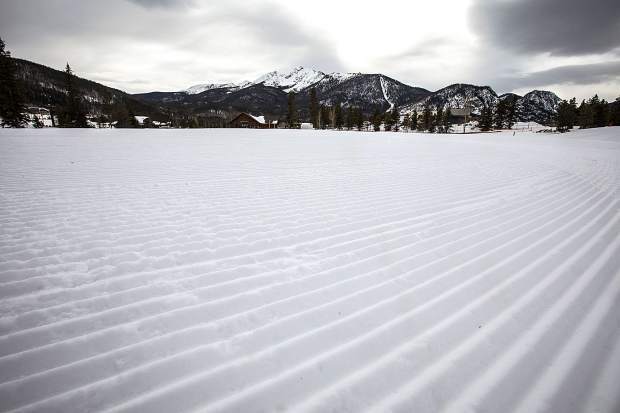 Groomed trails for cross-country skiers at the Frisco Nordic Center Thursday, March 1, in Frisco. The Summit Combined Housing Authority discussed the infrastructure needs for bringing the Olympics to the mountains in 2030, including 30-50 acres of flat land for an Olympic village, using existing infrastructure and building new venues. Bringing the Olympics to the Rockies may be a tall order for Summit and neighboring mountain communities — 12 to 15 stories tall, to be more exact. 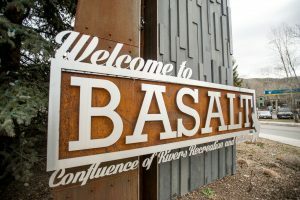 The Denver Olympic Exploratory Committee recently met with Summit housing officials and set out the needs for an Olympic village for athletes, coaches and staff in the mountains. Summit Combined Housing Authority executive director Jason Dietz presented the Olympic village requirements to local town and county officials at the authority’s regular meeting on Wednesday. “The site will need to be 35 to 50 acres of ‘flat’ land,” Dietz announced, and was met with a smattering of chuckles from around the table. Finding a contiguous, flat parcel of land is a steep ask in the mountains. A current property listing on LandWatch.com has one 26-acre flat parcel in Breckenridge selling at $1.75 million. Dietz added that any such site purchase and infrastructure development would need to be privately or publicly funded, as the Olympics would only pay to rent space while the games are being hosted. For a 35-acre site, Dietz said, housing would need to be dense and cover a smaller footprint in order to accommodate the 2,000 rooms needed to house all the athletes. That would necessitate the construction of a 12- to 15-story residential tower in the middle of a village complex. For a 50-acre site, the building would be 2- to 4-stories tall on a much larger footprint. The villages would also need new infrastructure such as roads, plumbing and electricity. Summit County manager Scott Vargo said that the county is not at all thrilled about the first proposal. “I don’t think a huge tower block would be appropriate for our community,” Vargo said, adding that the shorter 50-acre complex seems more feasible, though finding appropriate flat land remains a daunting challenge. 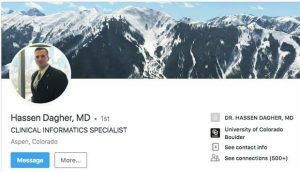 Vargo also said that aside from housing, three new sports venues will need to be built in Denver and the mountains for Nordic skiing (the Nordic centers in Frisco and Breckenridge do not meet Olympic specs), the ski jump and a sliding track for the luge/bobsled. Ramonna Robinson, spokesperson for the Denver Olympic Exploratory Committee, said that the housing requirement is necessitated by International Olympic Committee requirements. “The IOC requires enough housing for 5,500 beds for the athletes, coaches and staff,” she said. 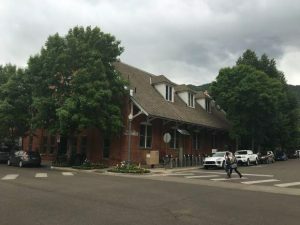 She added that the committee is looking at the possibility of building separate villages in Denver, Summit and Eagle to spread out the residential need. Robinson sees lasting benefits to bringing the Olympics to Colorado. She said that the villages and other infrastructure development could become permanent improvements and address some critical needs in mountain communities. Robinson said the exploratory committee is listening to as many local voices as they can to see what solution best fits their communities. “We want to see what legacy makes the best sense for Denver and the mountain towns,” she said, adding that affordable housing could be one such legacy. The exploratory committee has met with officials from mountain towns including Breckenridge, Frisco, Georgetown, Vail and Winter Park. The committee is also encouraging public input through an online survey that closes at midnight Saturday. The survey can be accessed through the exploratory committee’s website, SharingTheGold.org.